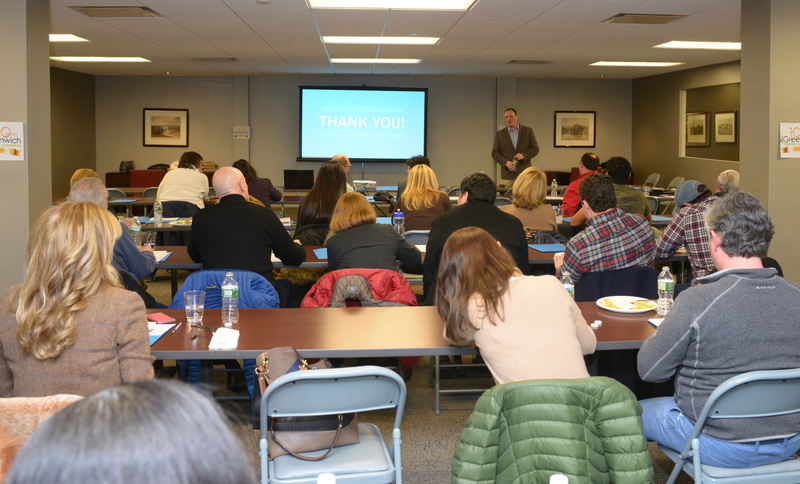 On March 13th, Greenwich Chamber of Commerce held a well-attended Educational Seminar focused on the power of digital marketing. Chamber members and the local community were able to get first-hand tips on how to drive revenue growth by reaching new and existing customers from our host Chamber member Gregg Ruais, founder of Plan2Profit. What did we learn? 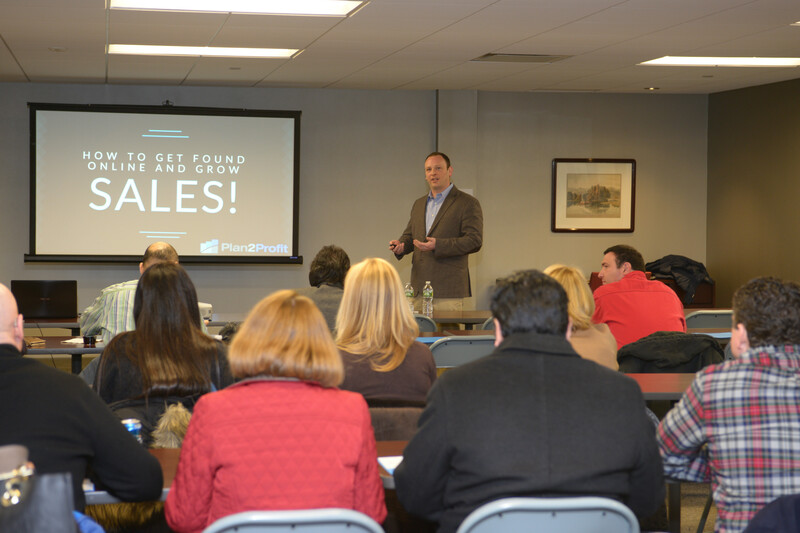 Gregg presented five key tools that help drive a powerful online presence for businesses and drive measurable growth. Email is the highest ROI channel of all! Studies have shown that in some cases a plain text email will get better response rates than html emails. Build an email marketing strategy. Create a 12-month email marketing calendar based on holiday and sales cycles. How can you improve your search engine rankings? There are many steps that were outlined to improve your rankings. To get started you can optimize your website by making sure it is mobile friendly, has easy usability and good page structure. Having an updated listing on Google Maps and listings with links from other sites like Yahoo, Yelp, Yellow Pages, etc. help as well. Only 5% of the people online are looking to buy a specific item vs. 95% who are looking to find out “how to” build or do something. Content marketing is a great way to capture people’s attention and build your brand. Videos are an excellent way to get attention and get multiple page placements. Capitalize on what is working and eliminate what is not. Some tools you can use to measure success include: Google Analytics, CRM and offline tracking, coupon redemptions, etc. We hope our recap was useful. We welcome your comments and feedback. Photos © Chamber member Christopher Semmes Photography, Greenwich, CT.